ok, we've found an issue on Unity 5.4 targeting IOS when you install PlayMaker. You could be missing the necessary Scripting Define Symbols. If you have other assets from the asset store, like Vuforia or GoogleVr, etc, you have more scripting define symbols, that's fine. 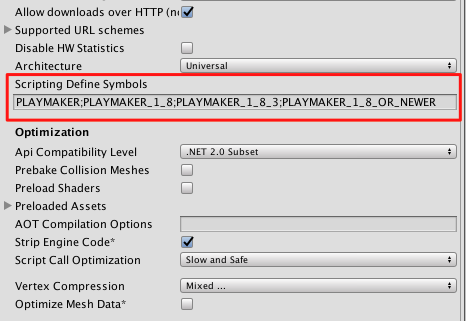 So, if you don't have any PlayMaker define symbols, simply download the package attached and import it. It will correct the situation automatically, simply let it run, there is no extra step required, just import that package.